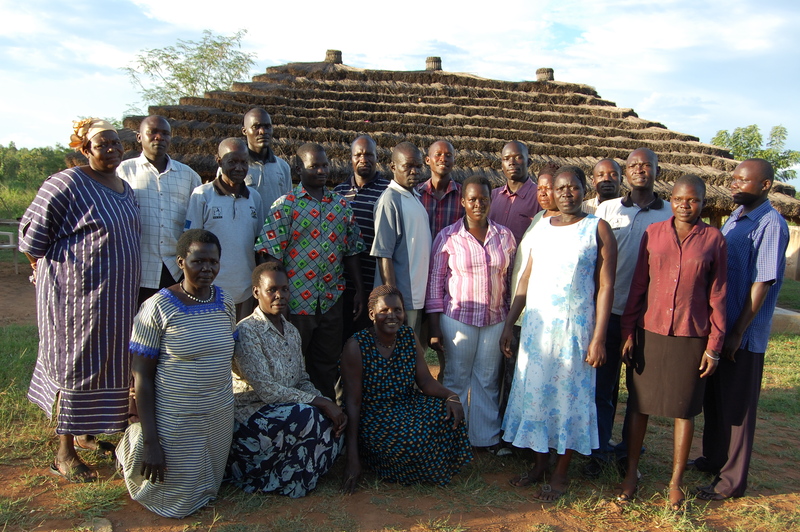 Christopher Arwai, Programme Manager at Kitgum Concerned Women’s Association (KICWA) in Uganda. 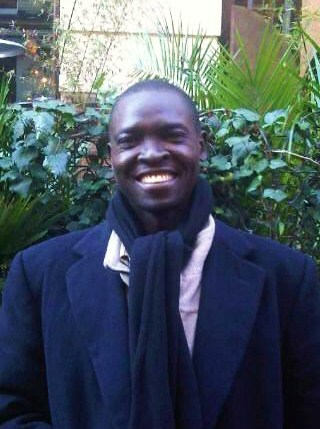 While working for the International Rescue Committee, Christopher came into contact with KICWA, a grassroots NGO promoting the rights and reintegration of war-affected communities in Northern Uganda. Two decades of war has displaced nearly 2 million people from their homes, many of whom were directly involved in the conflict. Seeing the value of an organisation which helps individuals recover from war and adjust to peace-time, Christopher accepted the post of Programme Manager and has since overseen their child-focused projects. How did you come to be running KICWA? KICWA was one of the IRC’s partners in Uganda, one that I was regularly interacting with as part of my role with them. Four years into the job, I was asked by my manager whether I would consider managing KICWA. At that time, I was very ambitious and was very keen to stay within the international development sector and so my immediate reaction was to say no. After some reflection, I decided to take on the challenge of managing KICWA – how could I refuse when they were doing so much to help people in such need from my community. I felt unable to turn my back on them. It has been a demanding challenge to create a structured organisation around that initial voluntary group – we have come a long way but there is still much to be achieved. I read that you were a former child soldier. Is it that experience that resonated with you when you chose to work at KICWA? When I was still at the Minor Seminary I was abducted and taken to the bush where I was made to join the rebel ranks. I managed to escape a month later and returned to the Seminary to continue my education. I was one of the lucky ones; my brother, who was also abducted, was killed by the rebels. Yes indeed, the positive outcome from my experience is that I am able to understand and empathise with those children who return from captivity; I am able to manage KICWA from my heart as well as my head. Do you have any regrets about your decision to come to KICWA? Initially I did. One of the key reasons I wanted to work for a large international non-governmental organisation was so that I could earn a large salary. That said very soon after joining KICWA, I realised that there was a lot more to life than making a lot of money. Now my biggest happiness lies in seeing our beneficiaries leading comfortable lives. I understand you are currently enrolled for a Bachelors programme at Gulu University. What made you want to study again? Is it difficult balancing a working life, studying and various family commitments? When I was at the Seminary, I completed a 3 year course on Philosophy and Religious Studies. While the course was enriching and appropriate for me at the time, working at KICWA, I had the desire to learn about contemporary development issues; to learn about policymaking in the development sector. It is thus that I decided to study part-time for a BA in Development Studies. My decision to study has come at significant personal sacrifice: I work Monday to Friday, and travel to Gulu every weekend to attend classes. It takes 2 ½ hours each way on very poor roads. But, it has been worth it; I graduate in 2012! Did you not have the option to study in Kitgum? No, there are no higher education or training facilities in Kitgum. The closest institutions are in Gulu. What about the rest of your staff: are they educated or keen to study following on from your example? It surprises many people that Ugandans tend to be well-educated and well-qualified. Most of the staff members at KICWA are graduates. Take Robert, our accountant, for example. He’s got a Bachelor’s degree in Business Administration and is presently studying his professional cause in CPA(U) stage III. He too had to travel outside Kitgum to obtain his qualifications – first to Kampala, then to Gulu. The staff at KICWA are keen to learn new skills whether it is through academia or regular training. The issue is not so much about the desire to learn, but how much it costs. Most institutions are private ones commanding significant tuition fees that many individuals are unable to afford. As an organisation, we too often find ourselves unable to fund training. We are limited not only by the amount of funding we receive, but also by donor priorities which tend not to extend to supporting long-term or on-going training or education for staff. Talking about Robert, was it difficult to recruit an accountant? Not at all. There are many accountants in Kitgum, though most are unemployed despite being well-experienced and well-qualified. For us, fortunately, the challenge has never been about finding the right staff member for the job. It has been about keeping staff turnover low. Just as I did, many of them see a career with international NGOs very appealing, in large part due to the financial and non-financial benefits that come with the job. We aim to provide a work environment where they can learn new skills or refine existing skills. Robert really appreciated Stephen [AfID volunteer] coming out to train him not least because he had access, and continues to have access, to someone who can help him do his job more efficiently. KICWA started off as an organisation responding to the needs of formerly abducted children and their families. Has the end of the war seen a change in the focus of the organisation? The dynamics on the ground have shaped and continue to shape the direction of the organisation. Yes, in the emergency phase, KICWA was formed by a group of women in order to provide direct care and support to formerly abducted children returning from captivity. More recently, as the majority of children have now returned to their communities, we are working more within the community to provide vocational, educational and life skills training so that those children can go on to lead productive lives. 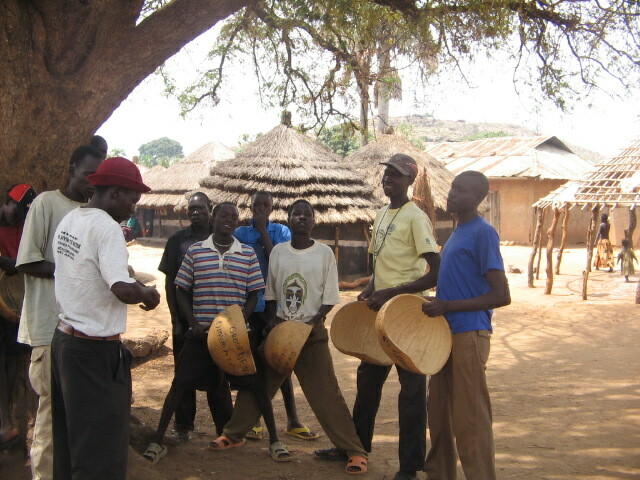 What are the main challenges that the people of Northern Uganda are facing now that emergency phase is over? The resettlement process is a massive challenge for our community. Villages were destroyed during the war and people were left with nothing. They moved to the IDP camps where conditions were very poor and where they could only depend on food programmes from the international community. Now that they are returning to their villages, people have to start again from scratch with absolutely nothing. The government has in place a Peace Recovery and Development Plan but the community seems to be tapping so little from this. The long term objective is for the community to move away from donor dependency to one of self sustainability once more, as life was before they were forced into the IDP camps. What is needed in terms of resources and support to meet some of those challenges and issues which people face in the years to come? There are some initial resources needed to support re-building of communities – tools and livestock – but there is also a need for psycho-social support so that a process of healing can occur. It is important that this is achieved through empowering the community rather than providing resources direct to them – training and guidance so that they are able to provide for themselves both in terms of livelihood and psycho-social support structures. As an organisation, we desperately need to reach many more people that need our help but because of financial constraints, we have consciously restricted our focus so that we provide valuable interventions to a few rather than weak and ineffectual ones too many. We will only be able to reach more people if we can grow with the appropriate systems, resources and people in place to underpin our work. Did the change of focus in KICWA’s work impact your relationship with your donors? With existing donors, no. That said, securing new and sustainable sources of funding has been very difficult. In general, funding is more easily available during times of humanitarian crises than for long-term community development and rehabilitation. More recently, this has been compounded by the current economic climate with many donors cutting back on the money they make available. Our aim is to reduce our donor dependency over time so that as an organisation we too can be self-sustainable – and we hope to achieve this through a variety of local income generating activities. This is our challenge. That said, it is important for the international sector to recognise that our communities still remain in urgent need and there is much work still to be done before we are in a position to be fully sustainable. What about striking the balance between securing funding for project costs versus funding for administrative/core costs? In general, a larger percentage of the money goes to cover project costs. Donors do give money to pay towards our administrative costs, but it is never enough. What would you like more money allocated to? It would be nice if they allocated money separately for staff doing administrative work, not least to pay for an accountant/finance person. I would like to see more money invested in acquiring IT systems and training our staff in their use. Most of KICWA’s staff members have had some basic training on Word/Excel before joining the organisation; that said, advancing their skills would be extremely beneficial as most of our reports are Word/Excel based. Do you find that donors come with a large burden of work? When it comes to reporting, yes! We have 3 donors, each with their own financial reporting format and each with their own deadlines. Often, we struggle to work through the different formats and easily convert information from one report to another. Ultimately, our donors also want the best for our beneficiaries; they want the projects to be successful. It would really help us if donors were more flexible when it came to financial reporting: either agreeing upon a reporting format and deadlines among themselves, or allowing us to harmonise report submissions across our donors. 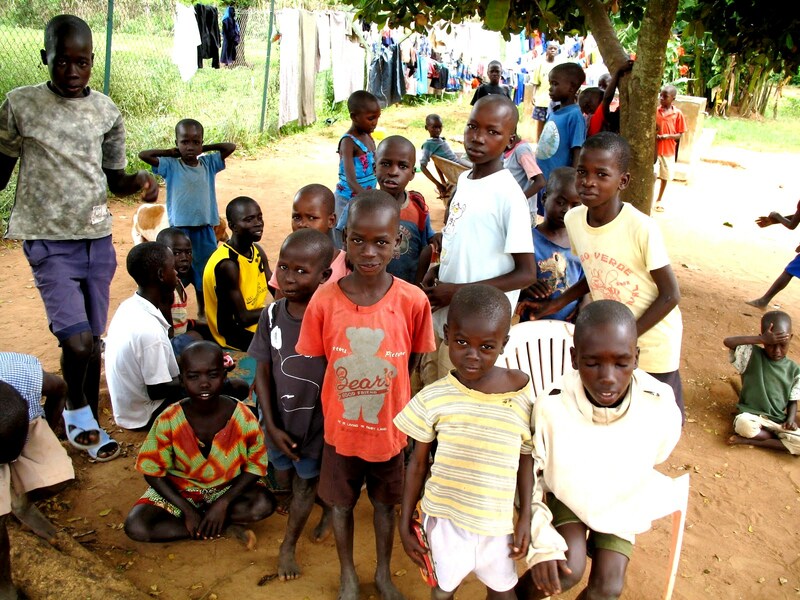 How can AFID volunteers benefit an organisation like KICWA? I’ve given you part of the answer. We need help in making financial reporting a simpler process; help with budgeting for staff members or office equipment that are utilised across projects. Even simple things like Word/Excel training would go a long way. We realise that our financial systems need to be robust and for there to be transparency and accountability in our management of funds – if we are to retain and continue to attract further sources of funding. Therefore, the on-going support of AFID volunteers is a valuable resource to us so that we can continue with this process following on from Stephen’s work. We have also identified the need for a fundraiser to help with identifying and applying for overseas funding as well as providing guidance on how we can diversify our funding base. If any AFID volunteers can offer this in addition to financial management support, that would be fantastic! I would like to see KICWA grow so that it can reach more people in more districts. I’ll be happy to step aside once KICWA is well-established with all the basic systems in place.